When you say “the finest beaches in the Philippines,” what first comes to mind is Cebu. But wait, there is actually more than what the Queen City of the South can offer. The sea, the sand, the soiree — the whole package! So, if you have itchy feet for adventure, take your vacation a notch further by going on an island hopping escapade in the province. Cebu is considered today as the top tourist destination of the country because of its great location, geography and climate. Being a tropical island with a lot of coastline and mostly storm-free areas, makes it ideal for swimming, island hopping and other leisure activities. 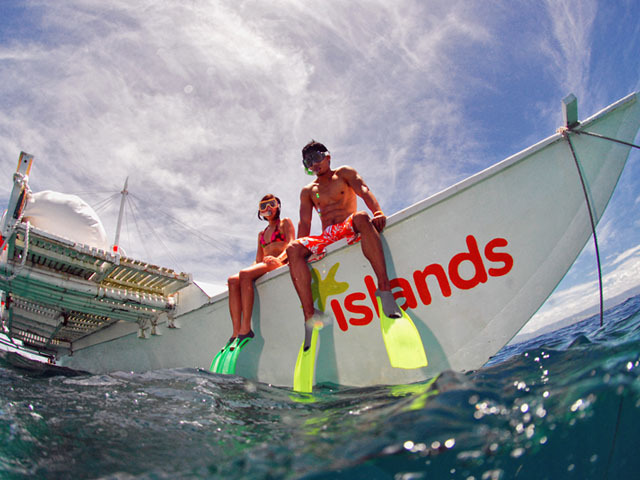 How to make the most out of your Cebu island hopping? If you are a nature lover, you will enjoy every minute of your visit in the islands of Cebu. See for yourself some fine white sand beaches, pristine coral reefs blanketed with colorful fish, delectable meals and breath-taking sceneries. Other than the sight seeing, enjoy all kinds of watersports activities like scuba diving, parasailing, surfing, snorkeling, among others. And once you are in Cebu, you can also plan to island-hop the following destinations: Mactan Island, Bohol, Negros Oriental, Leyte, Siquijor, and even more. You should travel very light. Wear comfortable clothes and water-proof shoes. Carry a light backpack and a water-proof camera. Do not rely on ATMs or banks. Have some cash or Philippine currency in your pocket. There will be plenty of food and drinks to satisfy your needs nearly everywhere. But, just bring with you your own potable water or sealed water bottles. If you are in Manila, the capital city, buy an airline ticket at Ninoy International Airport. Then, take a domestic flight to Mactan Cebu International Airport, which is located in Lapu-Lapu City, Cebu. The flight from Manila to Cebu only takes around 45 minutes. You have a great choice of hotels in the place. 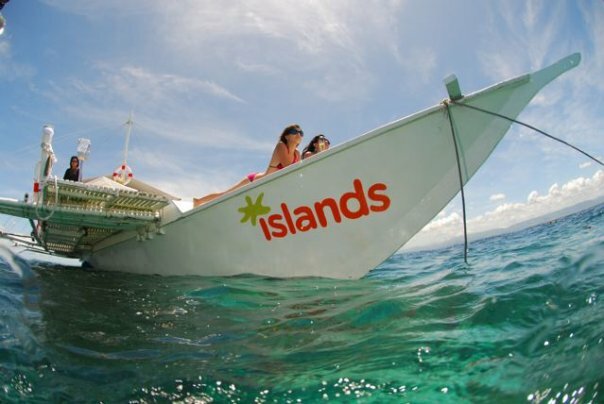 There are also establishments who will guide you through the maze of Cebu island-hopping. When you are in Cebu, the first important thing you should do is gather all the information on ferry schedules: fare, date and time of departure and return for your destinations. Also, you should make a hotel-room reservation in advance if you plan to stay overnight in one location. You need a day or even more to move from one island to the next. In your journey, you will use domestic flights, motorized pump boats known as “bancas” for short trip, roro boats, and ferries for longer trips, if needed. On land, you may have to take public transportation such as taxis, buses, and or a private car with a driver whom you may hire at a very reasonable cost. On an average, you should spend roughly P1,000 Philippine currency or $25 per day on island-hopping or more, and that should cover transportation, food, and miscellaneous. 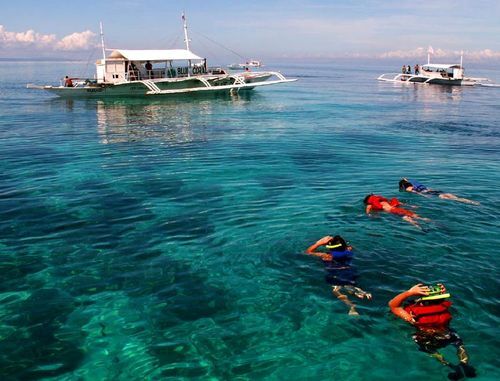 After your pleasurable and thrilling dive, you should be ready to hop on a ferry on your way back to Cebu. If you still have more time before your flight back to Manila, you may consider taking a tour around the province. Cebu is a highly urbanized metropolitan area that boasts numerous shopping, dining and relaxation options. Check them out to fully enjoy your stay in the place. So, are you now ready for a different kind of adventure? Pack your bags up and let the fun begin. Happy island hopping in Cebu!